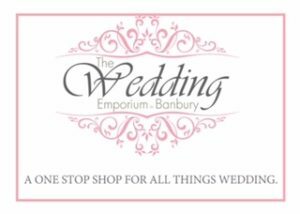 Photo Booth Hire is proud to be a listed supplier of The Wedding Emporium Banbury, the one stop shop for all things wedding related. The Wedding Emporium is run by two local wedding suppliers who are passionate about providing bride and grooms to be with the wedding day of their dreams. 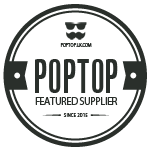 The aim of The Emporium is to provide one central location for a whole range of local wedding suppliers to congregate. It saves brides and grooms the hassle of having to shop around for everything they need for their big day. Photo Booth Hire joined forces with the WEB team at the beginning of 2017 and we are happy to say that we have never looked back. When you are planning your wedding there is so much to think about which is why it is simply invaluable to have access to a bespoke wedding planning service such as WEB. You will see us at many wedding fairs, events and open days throughout the year, both at The Wedding Emporium itself and elsewhere across the county. Being part of the Wedding Emporium puts us in a unique position to be able to signpost you to other suppliers who are part of the team. We are dedicated to providing the best possible wedding experience for all of our couples and nothing makes us happier than being able to play a part of the best day of your life.